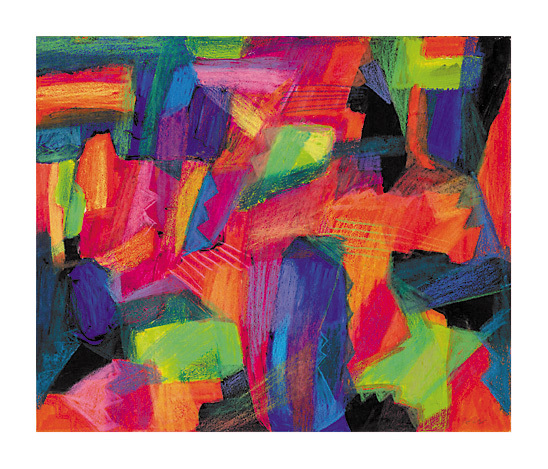 definitive techniques in serigraphy, which he developed with Anthony Velonis; his later work evolved into abstraction. He exhibited at the Whitney Museum of American Art and his work is included in the permanent collection of the Brooklyn Museum. 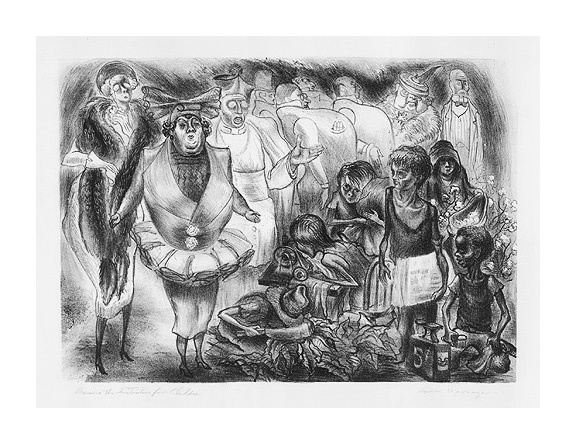 Preserve the Initiative for Children - - c.1937, Lithograph. Image size 10 11/16 x 15 inches (271 x 381 mm); sheet size 14 3/8 x 19 1/4 inches (394 x 546 mm). A fine, rich impression, on cream wove paper, with wide margins (1 3/4 to 2 inches). A repaired tear in the center right sheet edge (3/4 inch), well away from the image; minor soft creasing in the margins, otherwise in very good condition. 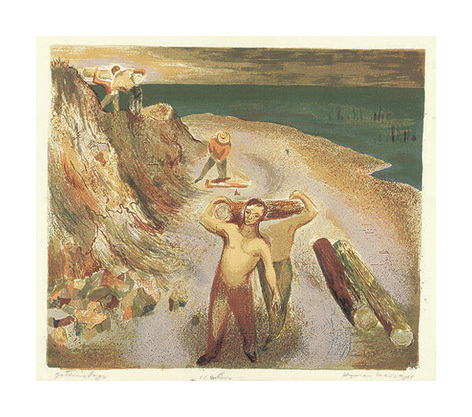 Gathering Logs - - c.1937, Color Serigraph. Edition c. 25. Signed, titled and annotated eleven colors, in pencil. Image size 12 x 13 7/8 inches (303 x 352 mm); sheet size 13 1/2 x 16 inches (343 x 406 mm). A fine, fresh impression, on cream wove paper, with full margins (1 to 1 1/8 inches), in excellent condition. 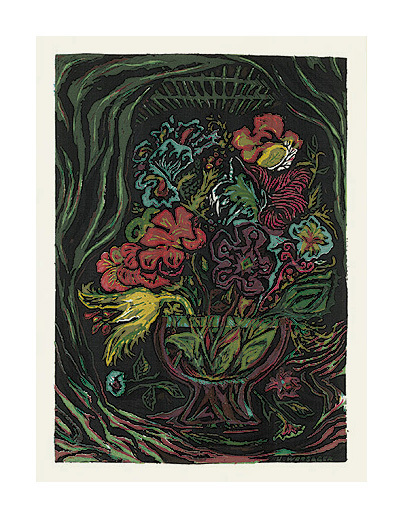 Untitled (Bouquet) - - c.1945, Color Serigraph. Edition not stated. Signed H. WARSAGER in the screen, lower right. Image size 13 x 9 1/4 inches (330 x 235 mm); sheet size 19 x 13 inches (483 x 330 mm). A fine, painterly impression with fresh colors, on cream wove paper; full margins (1 7/8 to 3 1/4 inches), in excellent condition. 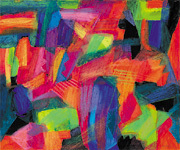 Color Abstraction of Pyramids and Temples in Mexico - - c.1960, Acrylic and Oil Pastel. Initialed in pencil, lower right. 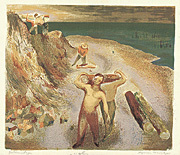 Image size 14 x 16 1/2 inches (356 x 419 mm). A rich, painterly rendering, with fresh, vibrant colors, on cream wove paper; the image extending to the sheet edges, in excellent condition.